An extremely durable high gloss surface! 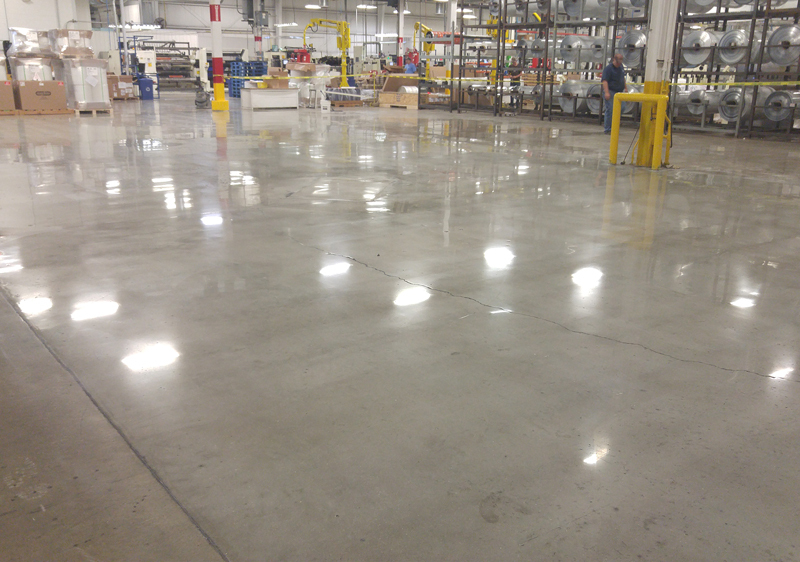 Mechanical concrete polishing is the most environmentally, cost-effective way to polish and maintain your floors. Mechanical polishing utilizes specialized grinders that are lined with diamond bits that get progressively finer as the polishing process is performed. The diamond impregnated bits gradually close the micro pores of the concrete surface until a bright, reflective, and shiny surface appears. If you want to add additional interest to your floor, dyes, artwork, and engraving can be incorporated into the process. 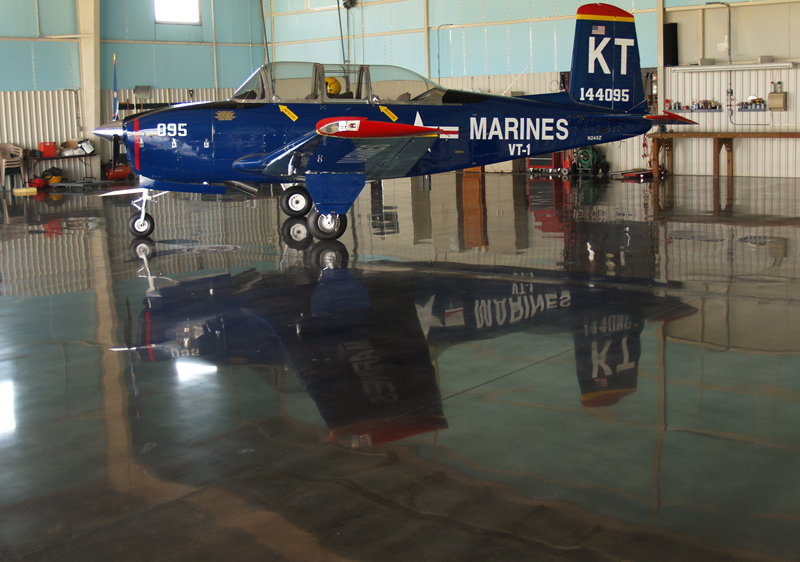 The final product is an aesthetically pleasing, extremely durable high gloss floor with virtually no maintenance. New techniques and processes make polished concrete floors extremely durable, easy to maintain and mechanical concrete polishing is the most environmentally friendly floor preparation available. It is best to just wash with warm water. If the finish ever becomes dull after many years of heavy foot traffic, a simple application of sealer and burnishing brings the shine right back to the original sheen. This is a quick and inexpensive process if needed. Mechanically polished concrete and terrazzo floors last practically forever, no really, the floor will probably outlast the building it’s in. Durability and low maintenance floors means a lower lifetime cost for you. A highly mechanically polished concrete or terrazzo floor reflects the light in the room, making it brighter without extra lighting. These LEED Certified floors are a green choice for the flooring in your building and a great choice for the environment. Concrete can be recycled and when mechanically polished, it releases very few chemicals into the air making the air safer for the people in the building to breathe. 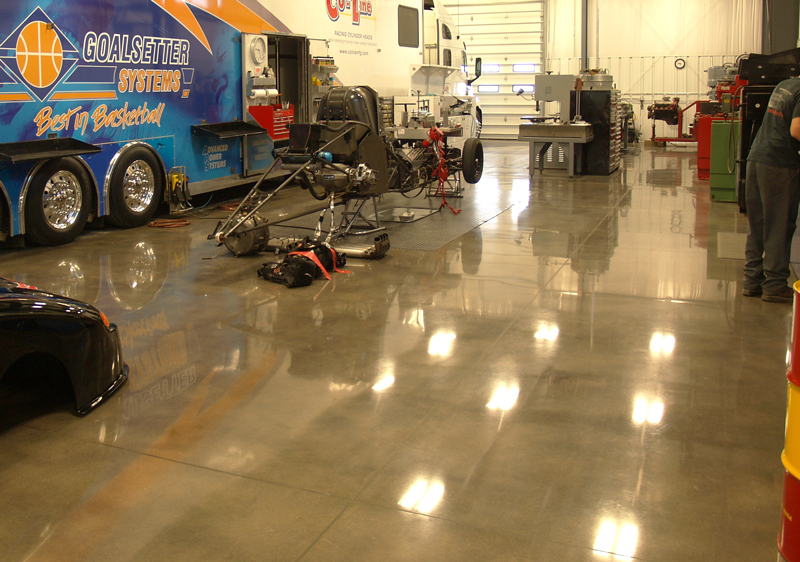 Mechanical polished floors are extremely low maintenance. Because they are polished using special grinders, the floor does not need to be waxed or polished with chemicals regularly to maintain it’s shine. They are also a time saver as they clean up with and as soon as the polishing process has been completed, they can be walked on immediately. 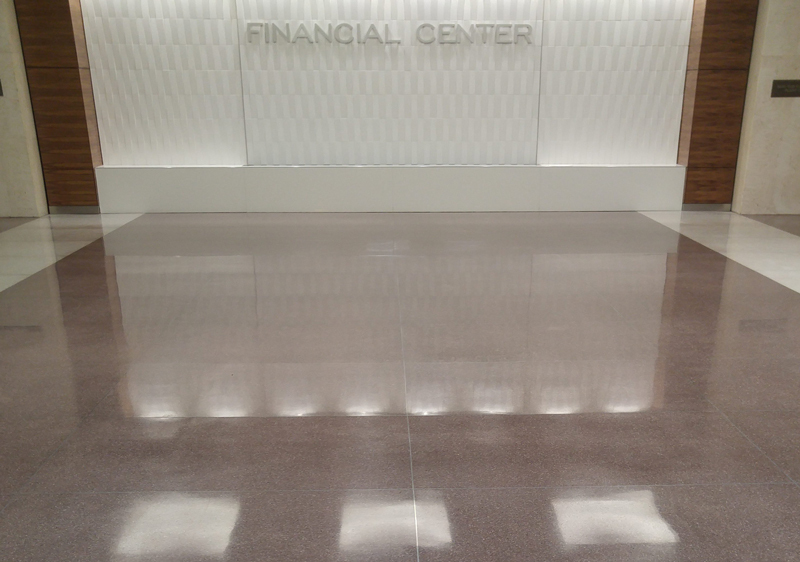 The shine of a mechanically polished concrete or terrazzo floor is hard to beat. 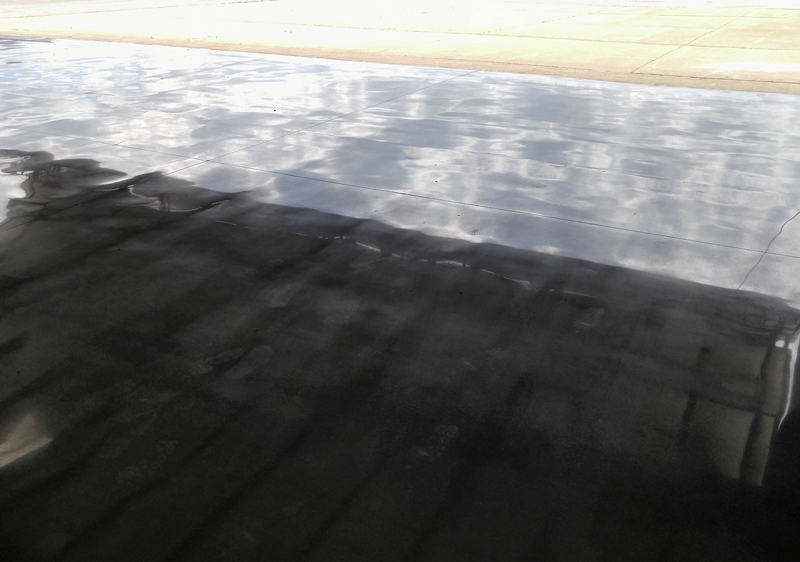 Even if your old concrete floor isn’t attractive in it’s unpolished state, you will be amazed with how beautiful it is when mechanically polished. They can be dyed, engraved with logos or covered in artwork for even more interest. If you’re unsure what to add, our team can help select the right compliment for your space.